Welcome to Day #3 of this series of learning AutoCAD with exercises. Before we move on with our tutorial – we strongly recommend getting our 100 CAD Exercises eBOOK ! Today, we have a bit more complex exercise compared to the previous ones. On Day #2, you learned how to draw lines with specific distances. In this exercise, all distances are given but remember that while drawing a circle in AutoCAD that by default, the software will ask you to enter the radius of the circle. 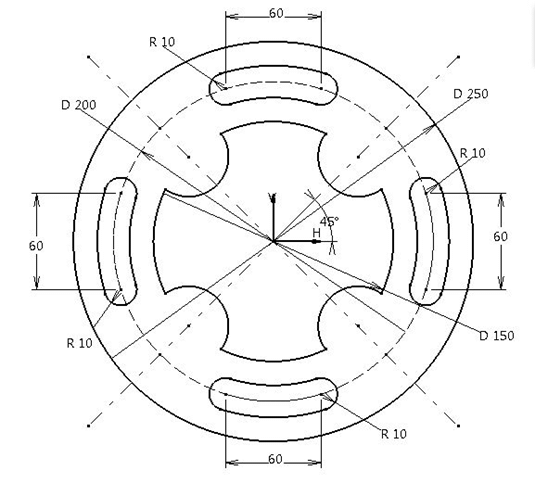 In this exercise, however, we are given diameters. Make sure to learn and understand the Day 1 exercise so you will be able to stick your line on the circle at A and A' the proper way. The TANGENT should be activated. Start from the bottom, meaning start the line at the point W' and end it at A'. 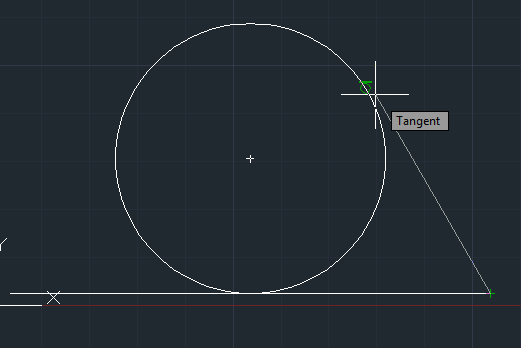 While approaching the circle, AutoCAD will help you snap the end of the line on a right tangentially to the circle. 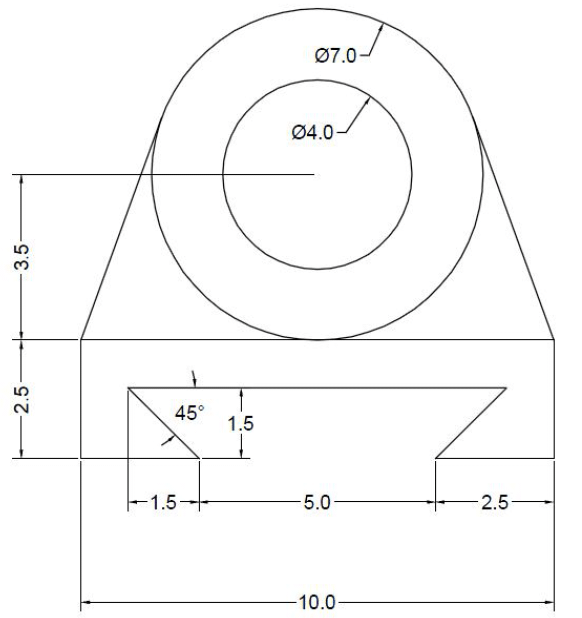 You should notice the green circle in AutoCAD, as shown below. Using this technique, you should be able to draw the complete figure below. We reached the end of today's exercise, feel free to comment, like and share. Check out AutoCAD Exercise Day #4. AutoCAD Exercises #1 Drawing your first piece of 2D using AutoCAD. Using LINE command and fixing your settings for a better user experience. Learning how to use coordinates and Using exclusively the command window to draw. AutoCAD Exercises #3 Learning the use of OSNAP and using skills you gained to design a more complex 2D. 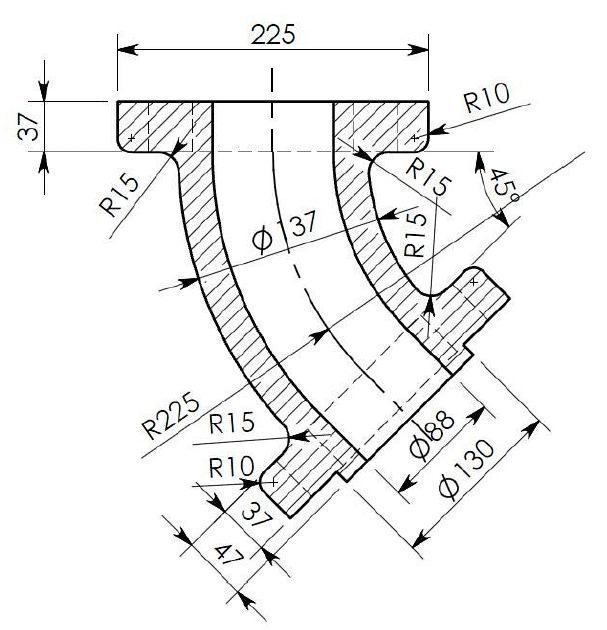 AutoCAD Exercises #4 Using some math and drawing lines with specific angles and dimensions. Learning the basic concept of angles in AutoCAD, and actually using the trick main while. AutoCAD Exercises #5 FILLET command and the use of OSNAP. Learning how to place object. Learning how to use center points. AutoCAD Exercises #6 CHAMFER command. Using the CHAMFER command and leaning more about the command window. AutoCAD Exercises #7 how to use HATCH in AutoCAD. You will need skills from Day #4 to have the exercise done, and you will learn how to actually use the HATCH command. AutoCAD Exercises #8 Playing with the TANGENT feature of the OSNAP. You will have a complex figure to replicate, and you will have to learn how the TANGENT feature of the OSNAP works. You will also have to learn a new trick on how to draw a circle using this very technique. 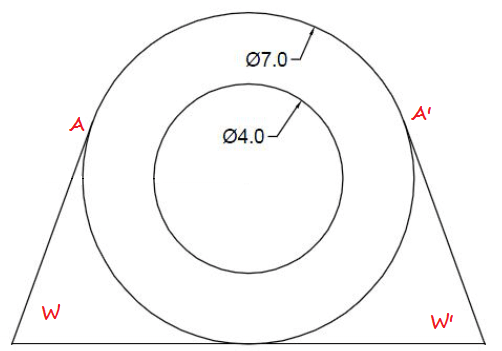 AutoCAD Exercises #9 Clear description on how the ARC command works and a complex exercise to try the technique out. All instructions are given for you to easily assimilate the tutorial. AutoCAD Exercises #11 Concrete exercise where you will have to see advantages of learning the ARRAY command. A Polar Array is designed and some old techniques you must have learned from the beginning will be helpful. AutoCAD Exercises #12 We have more than an exercise, The aim is to force you to use the ARRAY command. A rectangular Array is to be created. AutoCAD Exercises #14 Create a layers and changing line type. Using the ROTATE command and the OFFSET command. Learning how to combine a set of techniques toward something definite. AutoCAD Exercises #15 Using the combination of all techniques learned so far to come to achieve a complex 2D AutoCAD exercise. Previous learned techniques will be needed in this session and a little bit of math too. AutoCAD Exercises #16 This is a nice AutoCAD exercise that will make you test what you have learned so far. It is testing you ability to combine all you know to get a quite tough exercise done. Of course, hints have been provided to help you get it done. AutoCAD Exercises #17 Revision exercise. Be ready to use your calculator. You will need a bit more of precision in this session. An emphasis has been made on the ROTATE command, OFFSET command and FILLET command in this exercise. 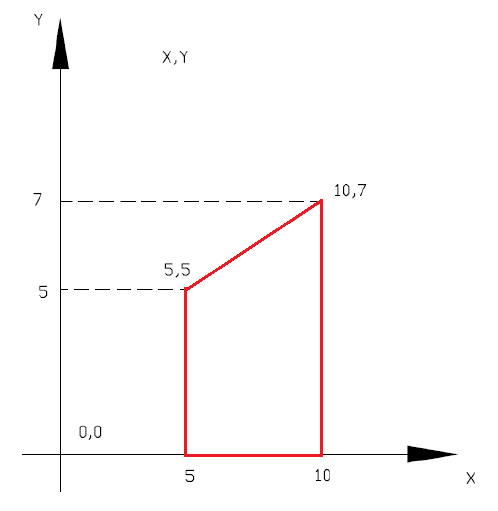 AutoCAD Exercises #18 Learning how to draw a polygon in AutoCAD. Here is shown how you can easily construct perfect star in AutoCAD, you may want to convert it into a block for future use. A complex figure is provided as well to help you practice. AutoCAD Exercises #19 Learning how to construct a complex drawing using technique provided to you in previous sessions. This serves as a test, to see how far you have gone since the beginning of this series of exercises. AutoCAD Exercises #20 Exam Day. Grab your Exam eBook for free and come back to me with questions and suggestions on how to make this course easier to understand if possible.